TireBuddy iii is perfect for when you need to drive your truck onto the beach to go surf fishing. The TireBuddy iii is a great tire deflator that is easy to use and easy to adjust. It is constructed of metal and screws directly onto the valve stem. It can't get any simpler than that! 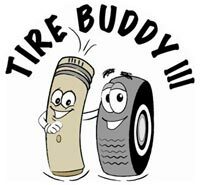 Next time you take your vehicle on the beach, get the same tire pressure every time with TireBuddy iii!